Momentum for improving the quality of life for autistic people has never been higher: 85% of Australians have personal contact with an autistic person; autism is the highest diagnostic group within the NDIS; and a 2017 Victorian Parliamentary Inquiry sparked a government commitment to a 5-year Victorian autism plan, now in development. 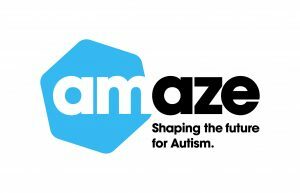 Amaze has been highly influential in government policy at state and federal levels, including being appointed to the NDIS Autism Advisory Group. This role is a rare and exciting opportunity to work with government, autism and disability sector partners, and the autism community to shape a better future for thousands of autistic people and their families. In addition to exceptional policy analysis and writing skills, you will also have demonstrated experience in providing advice to governments, and exposure to the development implementation of advocacy campaigns. The ideal candidate will have a strong track record in policy development in government and/or the not for profit environment, excellent stakeholder engagement skills and political nous. Experience in the disability sector would be advantageous. Amaze is the peak body for autistic people and their families and carers in Victoria with a 25 year strategic plan horizon to achieve its social impact aspiration. Build awareness and increase understanding of autism through media activity to promote facts and dispel myths, World Autism Awareness Day, provision of information and resources. Advocate for positive change through quality, evidence based advice to governments and other organisations on critical issues for autistic people including early identification and assessment, NDIS, education, employment, mental health, women & girls. Community engagement and capacity building through consultation with the autism community, improving knowledge, skills and capability of individuals and private, public and social organisations. Please note that applications that do not respond to the Key Selection Criteria will not be considered. For further information contact CEO@amaze.org.au or call 9657 1601. Please quote in application: Policy & Advocacy Manager via Pro Bono Australia.